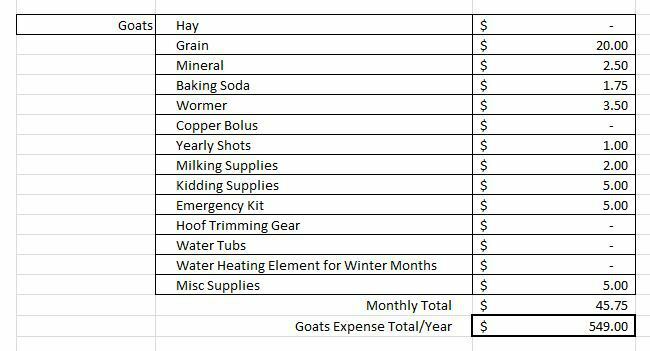 Planning out a profitable homesteading year is hard. Why? Because agriculture, in general, is hard: hard work, hard decisions, and hard…well, you get the idea! 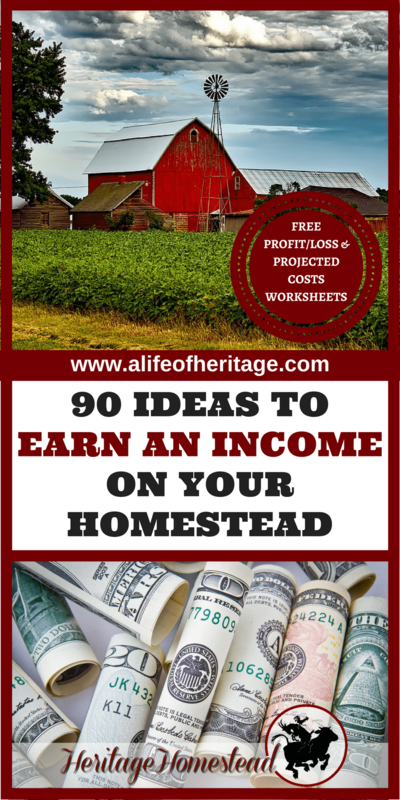 This list of 230 ideas also includes projected costs and profitable homesteading worksheets as well! 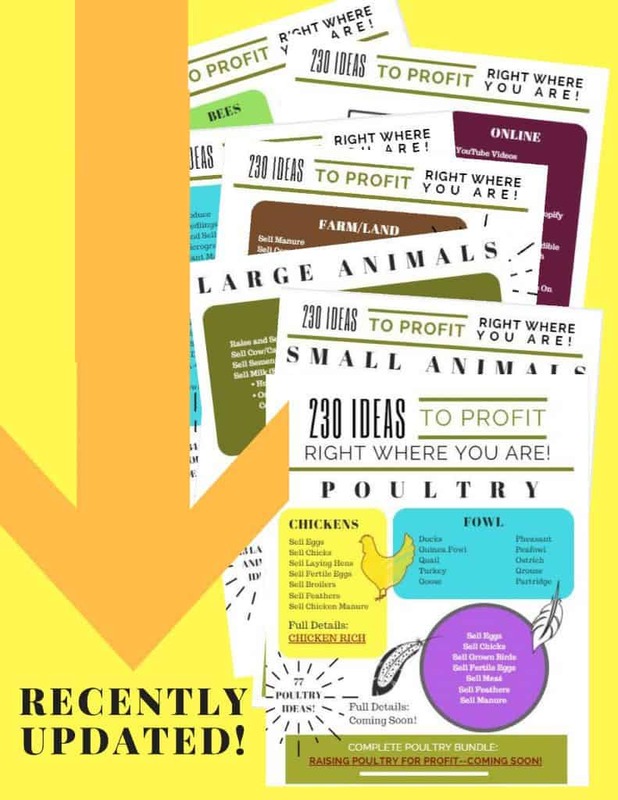 Also, you can get started on the first chapter of these 230 ideas with the information in the 60-page e-book called Chicken Rich. It has 7 detailed Ideas to Earn Money with Chickens. Don’t miss out! Well…it’s that time of year all year long, isn’t it? The time to sit down, find an old envelope to scribble on and figure out how to make your property, small or large, profitable. wait, when has that ever happened? And many times it’s back to the drawing board. It can’t be that hard to get this homesteading thing figured out, can it? 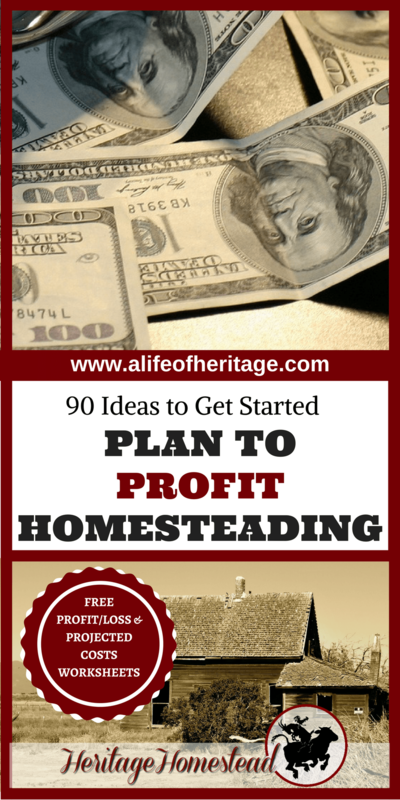 What does it take to actually profit in homesteading? Life and death: both part of the deal, but sometimes death happens when it isn’t supposed to and throws a curve in well laid out plans. Our grand plans to breed and sell, or hatch and sell, cute little animals or chicks, look good on paper, but when the time comes, the market is oversaturated, there’s no interest, or less money available for people to buy one more animal. And you know what? In our area, it’s even hard to sell farm fresh eggs because everyone has chickens…too many chickens (because that’s just how many chickens you need, right?) Over saturation affects profits…and how many eggs you have stacked up in neat little piles on the counter. Even a bad crop year affects the cost of raising animals because feed and hay costs rise. And that is completely out of our control. But none of that stops us. We have grit. Determination. And (usually) an unstoppable spirit. 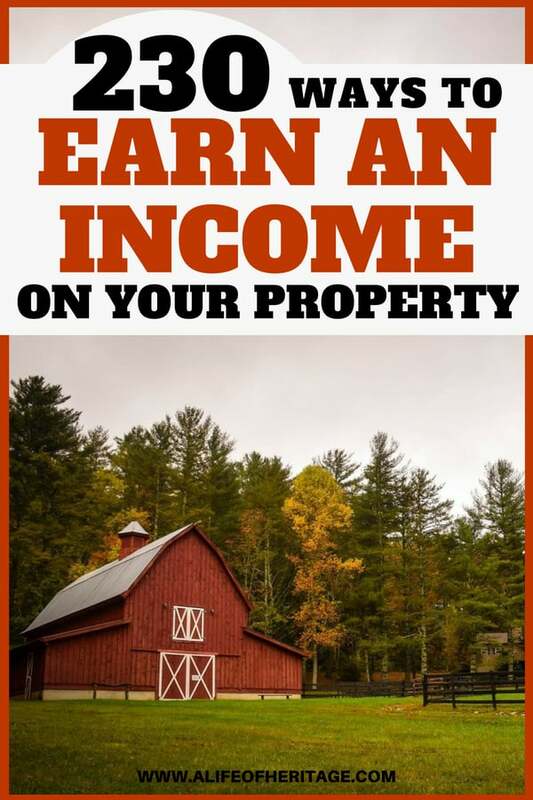 I’ve wondered if there could ever be an article “Proven Ways to Make Your Homestead Profitable Right Now!” that could guarantee success and profit in every situation. Again, so many variables: land size, operating capital, debt, experience, weather patterns… you get the idea. And then there’s the guy down the lane who inherited property that he doesn’t really want: how is that fair? And the other guy who got a windfall of cash from an insurance settlement, so yes, of course, he can afford that new tractor. And some people just have the knack for every.stinkin.thing to go in their favor, am I right? You see: Any fool can make money, it takes a genius to make a profit. And I truly believe that without vision, the people perish. You are that people. You are the director of your life and homestead, so I encourage you to map out a plan. If you plan for nothing, you are sure to hit it every time. Below you will find a tool to begin helping you map out that plan. 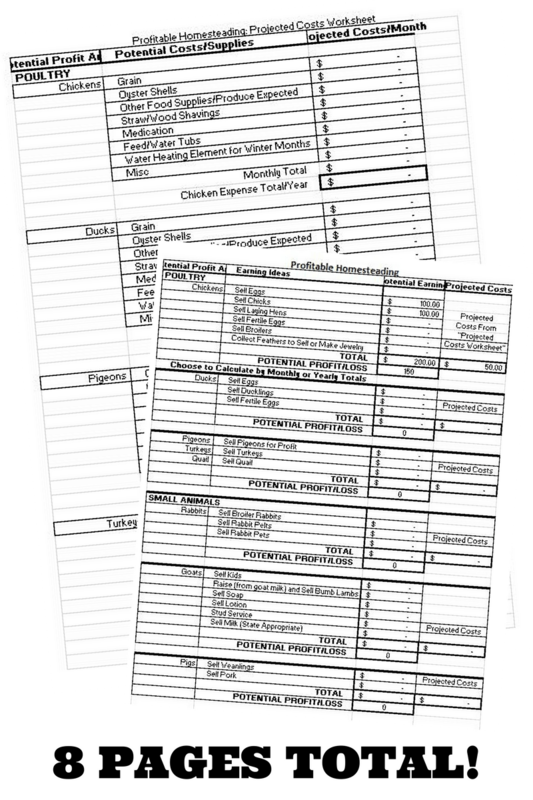 You can fill in your information and print it out to reference throughout the year. 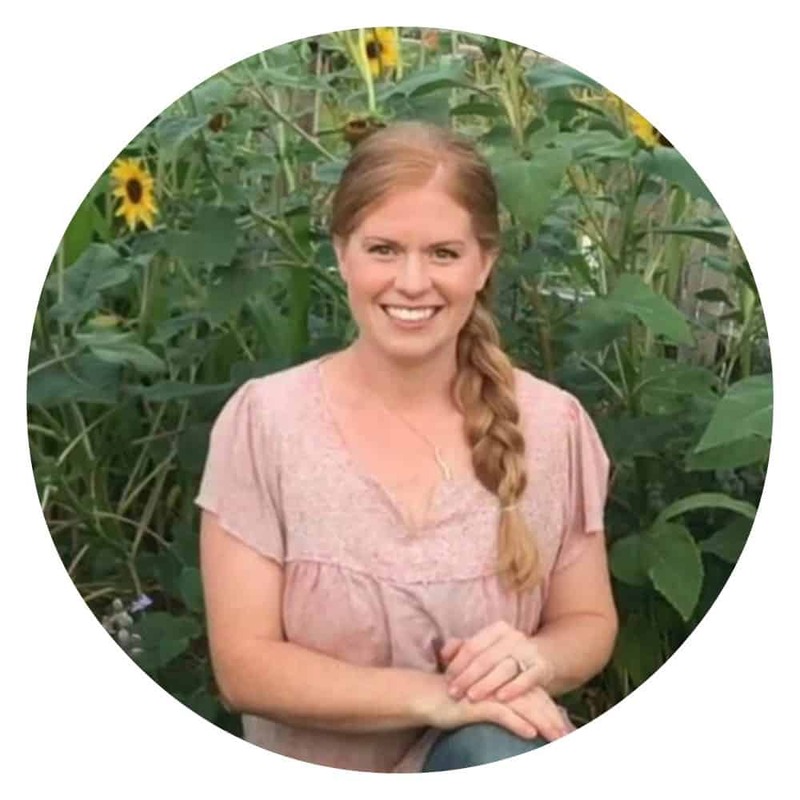 So, let me help you: 230 ideas, a projected costs excel spreadsheet and an excel worksheet to help you figure out your profit would be on each idea. These worksheets will give you a ton of ideas to get your imaginations whirring and they have all the formulas to show you what your potential costs and profits could be. They also add up the total costs for you in each area. Are you ready for 230 ideas to get you started? Click HERE and get started! Yes, it is that time of year. It’s time to make a plan, to prove to this world you are a GENIUS and can turn a profit on your homestead!